I've attached a screenshot below of an error I'm having difficulty fixing. Examing the hpwallart.php file the function on line 202 takes three arguments, with the third being $cart_item_key. Please could you help me identify why this argument isn't being picked up (or set) or identify why the error is occurring? I've searched for a resolution online but there's scant information available. Your help would be appreciated. We're nearly there with the site! Looking forward to your feedback in order to continue with the issue resolution. Thanks for your feedback. Just a few more questions for clarification, if I may? Yes, the HP plugin on our site is installed on this path: /public_html/wp-content/plugins/hpwallart. Do you mean it should be installed on this path instead /wp-content/plugins/hpwallart? (i.e. above public_html??). Since the plugin installation notes state "Upload HP WallArt plugin to the /wp-content/plugins/ directory". 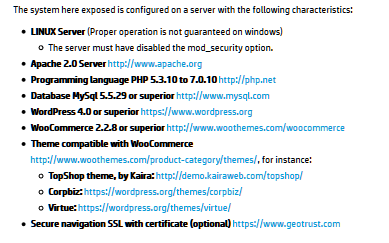 If so, are you implying that the whole wordpress installation - including theme and woocommerce - should be installed at this level above public_html? Since having two /wp-content/... folders seems highly unusual. We just installed the HP plugin using the default Wordpress process, i.e. plugins/add plugin/upload plugin/choose file/install now. No path options were available. Else, do you mean change the HP plugin url in wp-config.php (it's currently not set there) or in some other configuration option? Clearly, I'm a bit confused. I'm happy to provide access to the site or further info if the HP support need it. There is no directory level in between. Unfortunately the installation procedure that we have set for HP WallArt Plugin right now requires an installation in the root. All the installations done until now are in this way. When you install it, you install it as a plugin but in the root, so wordpress knows that. Otherwise if after applying the above configuration the issue persist my best recommendation would be to contact directly to our HP Application Center support team through the following email address hpapplicationscenter.support@hp.com since more information related with your Wordpress integration will be needed for them, and they will be glad to help you to resolve your issue. I have tried two of the supported themes but experience exactly the same error when viewing the basket/cart after creating an order using the HP WallArt plugin. I have even created a completely new WordPress install using the Topshop theme, along with a fresh install of woocommerce and the HP Wallart plugin. Again, same error (image attached). The HP WallArt plugin is installed in the root directory. I'll have to contact the suggested support at hpapplicationscenter.support@hp.com. Thank you for assistance with this.